In 2018, Swiss racer Gino Mäder won two mountain stages at the Tour de l'Avenir and finished fourth in the under-23 road race at the World Championships in Innsbruck, Austria. 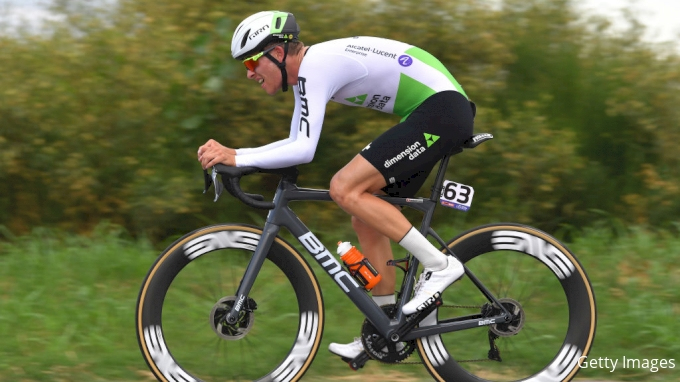 He signed with Team Dimension Data for 2019, and was thrown into his first race against a field of WorldTour stars at the Vuelta a San Juan International in Argentina, Feb 6-10. Mäder says that while the opening stages were a shock to his system, he found his legs over the course of the seven stage race. He finished 11th overall and second in the young rider competition to Deceuninck-Quick Step prodigy Remco Evenepoel. Correspondent Gregor Brown sat down with Mäder at San Juan to discuss his impressions of the race, his thoughts on Evenepoel, and his aspirations for the 2019 season.